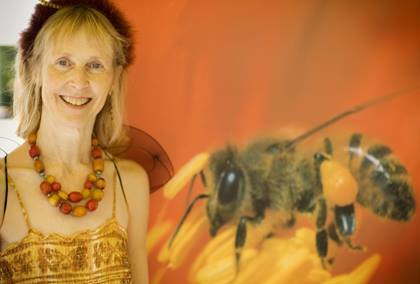 Urban Oasis Project is sponsoring two weekend beekeeping workshops on February 1-2, 2014, taught by world-traveling beekeeper Debra Roberts. No experience necessary for the beginner’s class. Come explore honeybee basics, hive equipment and tools, good stewardship practices, how to go through a hive (without bees), and treatment-free (“natural”) beekeeping. Session tailored for BEEginners with no experience (those who think they might like to have bees in the future or just want to learn more about them). $85 – Full day, Saturday Feb 1 only, at the Kampong in Coconut Grove. $125 – Full intensive includes Saturday at Kampong in Coconut Grove, and half day on Sunday morning at Verde Farm in Homestead (includes hands-on with bees). This session is for beekeepers who have a little to a lot of beekeeping experience, who want to explore treatment-free beekeeping options. Please bring your questions. This afternoon will be tailor-made for what best serves you. $50 – Half day on Sunday afternoon at Verde Farm. Note: BEEginners who have taken the intensive are welcome to join the Sunday afternoon session for an additional fee. Please inquire. Details and Registration: on the Urban Oasis Project web site. Email questions to admin@urbanoasisproject.org .